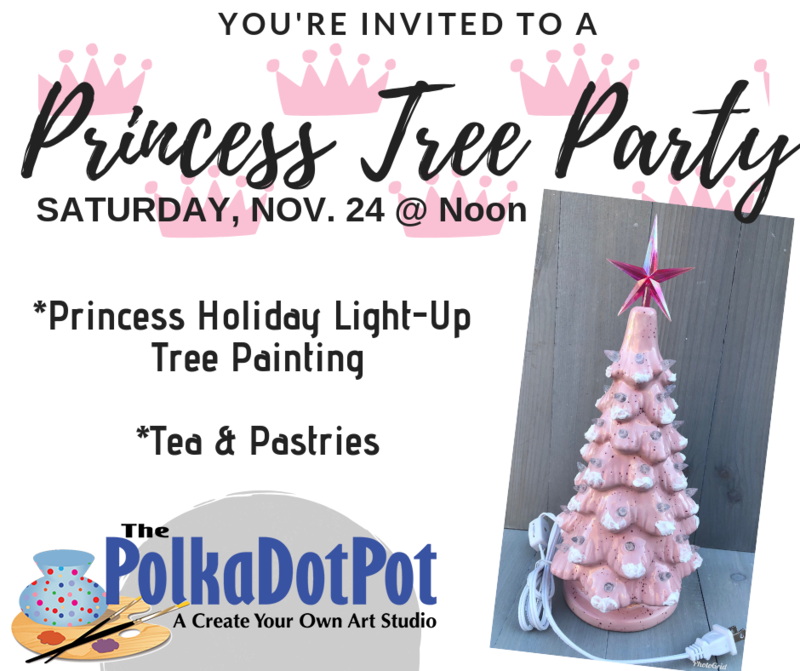 Join us today to paint your own Princess Tree while enjoying our tea party! We will have lots of fun paint colors for your tree! And some specialty snow or sparkles for on top of your color! Also serving tea, lemonade, and munchies to nosh on while painting. Limited amount available so RSVP soon! Cost is $37.99 + tax.